Policymakers from across Europe last week expressed broad support for the introduction of an EU-wide alternative dispute resolution system to prevent consumers from having to go to court to settle disputes with companies. "Every day, consumer purchase goods and services, but many give up when experiencing problems with traders," said EU Consumer Affairs Commissioner John Dalli ahead of a public hearing on alternative dispute resolution (ADR) hosted in Brussels by MEPs on the European Parliament’s internal market and consumer protection (IMCO) committee (16 March). Last week’s hearing marked the closure by the European Commission of a three-month public consultation on setting up an ADR system in Europe, potentially providing consumers and traders with a cheap, straightforward and quick means of resolving disputes. "ADR gives consumers a simple chance to get their problems resolved. It may sound try but it’s really important for consumers – maybe we need to find a sexier title!" said IMCO committee chair Malcolm Harbour MEP (Conservatives; UK) upon entering the chamber. The results of the consultation, due out later this spring, will feed into upcoming legislative proposals on establishing an EU-wide ADR scheme, which are due for publication by the Commission before the end of the year. Over 750 alternative dispute resolution schemes are currently in place across Europe. But the current ADR landscape is best by major shortcomings, including gaps between existing schemes, low awareness of their existence among businesses and consumers alike and systemic weaknesses related to cross-border trading. As a result, "most consumers don’t take action" when faced with problems related to their purchases, said Commissioner Dalli. "We need to make sure that any consumer in a dispute can refer to an ADR scheme," he added. Not all EU countries have ADR schemes in place, nor are they accessible for all sectors of the economy. 40% of retailers in the EU do not know about alternative dispute resolution and in 2009 just 3% of consumers and 9% of retailers used ADR schemes, according to the Commission. 64% of ADR schemes currently in place are voluntary. ADR is only available in six regions in Portugal, for example, while in the Netherlands, ADR for air travel is only applicable to national carrier KLM Royal Dutch. "We want to make sure that consumers can resolve problems cheaply out of court. 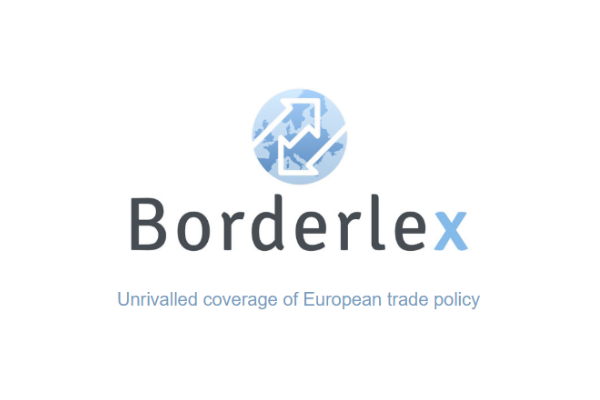 Alternative dispute resolution boosts markets by encouraging consumers to buy and businesses to sell across borders. Given the right framework, consumers can be a key engine of growth," said Commissioner Dalli. "ADR should be one of the first legislative proposals voted on in 2012," Dalli added. Opinions among EU policymakers about the best way to proceed on ADR vary widely. Hungary, which currently holds the EU’s rotating presidency, is wary of regulating to force through the introduction of a common EU-wide scheme. "It’s not our duty to regulate ADR, but to support it," said Hungarian Minister for Strategic Affairs Zoltán Cséfalvay, underlining the need to give ADR "total autonomy" to allow it to flourish "on its own terms". "ADR is not for every case and it is certainly not our intention to make it so. It can best be established by trade associations and national consumer groups, rather than by being imposed centrally. But it is the best resolution system in some areas, especially cross-border e-commerce," Cséfalvay said. "We need to create favourable framework conditions to facilitate the wider use of ADR in Europe. We also need to ensure that ADR is high quality, especially given that there are so many varieties. ADR costs money and there’s a role for the EU here," he added. "It’s right to concentrate on the consumer, but good ADR will have to be mutually beneficial" if it is to work, Cséfalvay said. The minister said the Presidency would work hard to raise awareness of ADR among European businesses and consumers, and push for the creation of a European code of best practice. But "our role is to create opportunities, not regulate," he repeated. However, others fear that adopting such an approach would create a system in which standards vary from one country or sector to another. "There is too wide a spectrum of ADR systems in Europe," said European Parliament Vice-President Diana Wallis (Liberal Democrats; UK), insisting that "the EU should be able to offer signposting or a roadmap to make sure that people get to the right place"
Maltese MEP Louis Grech (Socialists & Democrats) went further, claiming that "an EU-wide ADR system would give a greater sense of security". He said clarification was needed as to whether the Commission’s legislative proposal would cover only business-to-consumer contracts or business-to-business relations too, for example between large companies and SMEs. "We cannot afford any more years of reports, discussions and hearings. It’s time for the Commission to act now," Grech added. Participants struggled to agree on whether participation in a future EU-wide ADR scheme should be mandatory or voluntary. "ADR schemes should be binding," said Monique Goyens, director-general of European consumer organisation BEUC. She was supported by Peter Fogh Knudsen from Denmark’s Consumer Advice Centre, who said "to me voluntary ADR means no ADR". "I’ve never met a voluntary trader," he added. "Public authorities must provide information on ADR and traders must use it more often if consumers are going to become more aware of it. Traders don’t use it because they have no incentive to – they already know that the consumer doesn’t want to go to court," said BEUC’s Goyens. "If it was binding and there was a genuine threat of court action afterwards, then ADR would be a genuine stick," she added. Attempting to sum up the debate, IMCO committee chair Malcolm Harbour said any EU initiative on ADR would need "to add value to what people are doing already" and set out "ways in which we can share experiences [to] enhance quality [and] develop best practices. Details of the public consultation’s findings will be made available to policymakers this spring ahead of the planned publication by the European Commission of legislative proposals on ADR by the end of the year. "There is a wide diversity of ADR solutions on offer across the EU. It will be a huge challenge to preserve everything that is already in place and working well. If it ain’t broke, don’t fix it," said Jacqueline Minor, director-general of the European Commission’s health and consumer policy department (DG SANCO). "We need to establish criteria for what makes a good ADR scheme and decide whether membership should be voluntary or obligatory"
UK Conservative MEP Malcolm Harbour, who chairs the IMCO committee in the European Parliament, said in any ADR scheme, "accessibility is key, so people are going to have to know about it". "Addressing the breakdown of relations between traders and consumers is at the heart of problem-solving, and this must be at the centre of any EU ADR scheme," Harbour said. "Good ADR makes good business sense. It’s not the same as customer service, but it should still be a win-win for companies and consumers alike," said European Parliament Vice-President Diana Wallis (Liberal Democrats; UK). "ADR is not justice on the cheap. If you’re going to do it properly, it needs to be properly funded. It must also be complementary to a good system of collective redress in the EU. The two are not mutually exclusive," Wallis said. "How can we avoid a one-size-fits-all approach?" asked German European People’s Party (EPP) MEP Andreas Schwab, stressing that "the consumer, not the structure, must be the centre of interest". "Markets are about consumer trust therefore settlement of conflicts is crucial, especially if we are to create a cross-border market. ADR avoids the creation of a litigious society like that in the USA," said Schwab. "The challenge will be figuring out how to ensure a transparent structure in all EU member states. We need to avoid a one-size-fits-all approach while making ADR accessible to all EU citizens," he added. French EPP MEP Philippe Juvin warned that "we need to make sure that ADR does not result in a lowering of standards of redress". Latvian EPP MEP Sandra Kalniete stressed the need for businesses to "show if they are part of an ADR scheme or not," calling for the establishment of an EU-wide database of all the ADR schemes currently in existence. German liberal MEP Jürgen Creutzmann (Alliance of Liberals and Democrats for Europe; ALDE) highlighted the particular need to look at cross-border and online sales "so consumers know where to go in case of a dispute," and also stressed the need to make sure that consumers can use their own language. "It is important to ensure that any compulsory ADR scheme does not incur extra costs for consumers and it must be cross-border. Otherwise an online system will never work," he added. Maltese MEP Louis Grech (Socialists & Democrats) said "citizens’ knowledge of ADR in the EU is low and confused. Many don’t know it exists and many who do know of it don’t know how to use it. Europe’s long-standing inconsistency is the reason for today’s fragmented system". "An EU-wide ADR system would give consumers greater certainty and consistency. A collective redress system must also be part of any future EU ADR structure," Grech said. "It’s not good if the time and money required to pursue ADR ends up being the same as going to court. There needs to be a smooth transition from ADR to court proceedings and class action, because ADR may later serve as evidence in court," said Raffaele Baldassarre, an Italian EPP MEP. "Effective ADR is essential for the further development of cross-border e-commerce," he added. "Consumers face many problems and traders are not always willing to resolve disputes. ADR has many advantages over traditional court systems, provided that it is implemented properly," said Monique Goyens, director-general of European consumer organisation BEUC. "A court offers unique advantages in terms of access to justice that other redress mechanisms do not, so it is important to stress that ADR is alternative," Goyens added. "Consumers are basically on their own today when it comes to cross-border problems. Cross-border ADR simply doesn’t exist. Language and the choice of which legal system to apply are among the obstacles to setting up a common EU ADR scheme," said Peter Fogh Knudsen from Denmark’s Consumer Advice Centre. "Common ADR would at least give consumers a chance of getting their cross-border e-commerce problems dealt with, and might go a lot further to boost cross-border online shopping than many of the EU’s other efforts," Knudsen said. Michel Astruc, ADR mediator at French gas giant GDF Suez, said "we need to inform citizens of the role played by mediators appointed by companies. It’s important for us to respond to consumer complaints within a two-month period and generally we do". "We also want to find solutions that are generally in the consumer’s favour, because in doing so we protect our own interests as a company," Astruc said. Loic Armand, director-general for communications at L’Oréal, said "we need to better publicise the benefits of mediation. It’s fast, and there is little or no charge for the consumer. The mediation process also allows consumers to withdraw at any time in favour of going to court. It doesn’t replace court, but it aims to render it unnecessary". "We need to improve consumers’ awareness of mediation, guarantee its quality, and widen its geographical and sectorial accessibility. Government authorities have a role to play here, whether at national or EU level," Armand said. The European Commission uses the term ADR (Alternative Dispute Resolution) refer to schemes available to help consumers resolve disputes with traders when they have a problem with goods or services. ADR is non-judicial and requires the appointment of a neutral third party to help settle disputes. It is mainly used for individual cases, but can also deal with several individual cases when they are similar, according to the Commission. ADR does not cover businesses' customer complaint handling systems, amicable settlements directly between a consumer and a trader, or mediation processes within the judicial system. Two existing EU recommendations on ADR establish minimum guarantees that ADR schemes ought to respect, while directives related to specific sectors, like energy and telecommunications, also oblige or encourage member states to set up ADR systems. Spring 2011: European Commission to publish results of public consultation on ADR. By end 2011: Commission to table policy proposals on setting up an ADR system in Europe. EURACTIV Czech Republic:Má být mimosoudní ?ešení spor? povinné? EURACTIV Slovakia:Mimosúdne riešenie spotrebite?ských sporov: dobrovo?né alebo povinné?